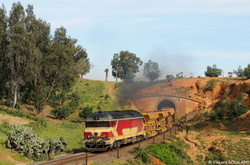 (14110) DF109 near Oued Amlil. 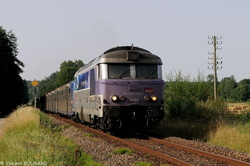 (13734) X4728 in the Sauvages ramp. 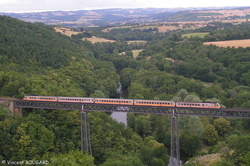 (11106) RTG T2033-T2034 on Rouzat's viaduct. 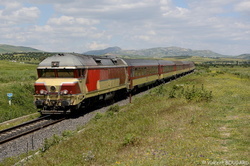 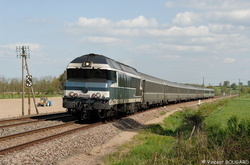 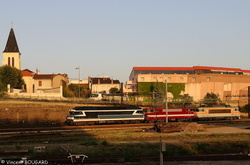 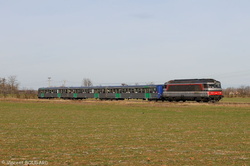 (10210) BB67555 near St Genès-du-Retz. 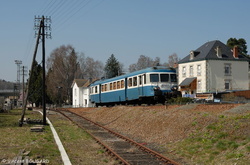 (9576) CC72084, BB9291 and BB7392 at St Fons.